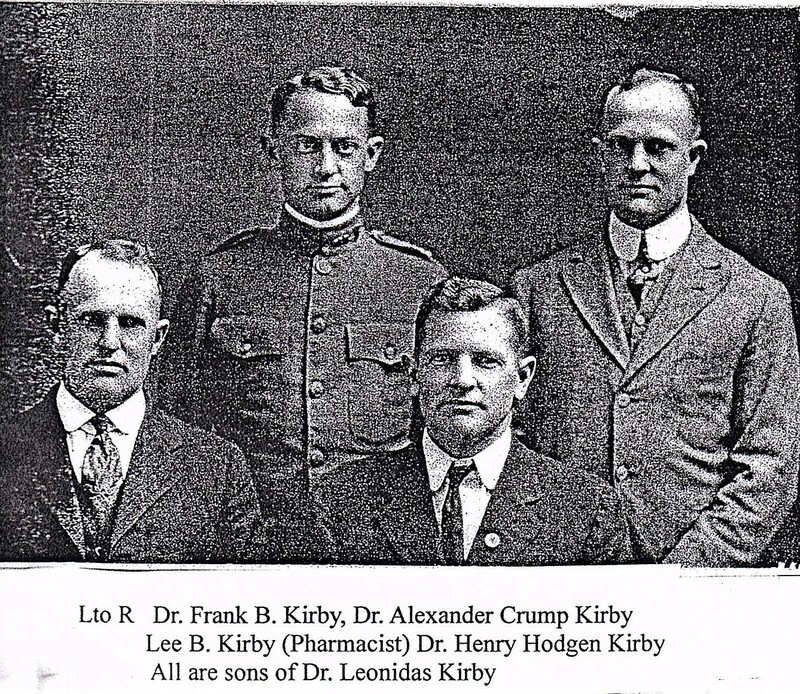 Dr. Leonidas Kirby (First Generation) had four sons. Three of those sons became doctors, Dr. Franklin Beverly Kirby, Dr. Henry Hodgen Kirby, and Dr. Alexander Crump Kirby. These three doctors are the Second Generation of Kirby doctors.